Farlow, William Gilson (1844-1919) Icones Farlowianae: Illustrations of the Larger Fungi of Eastern North America. 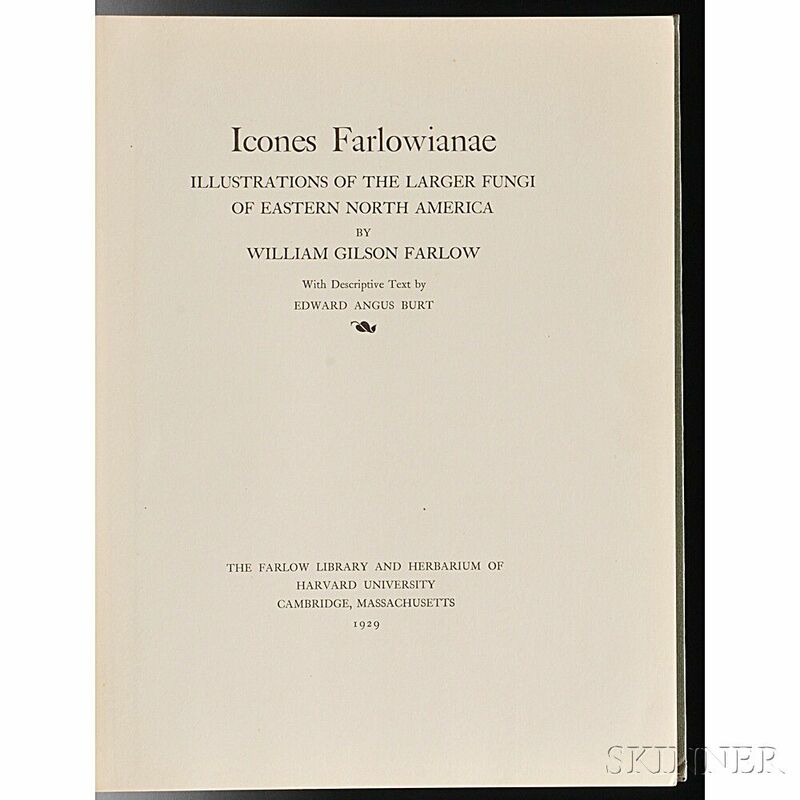 Farlow, William Gilson (1844-1919) Icones Farlowianae: Illustrations of the Larger Fungi of Eastern North America. Cambridge: Harvard University, 1929. 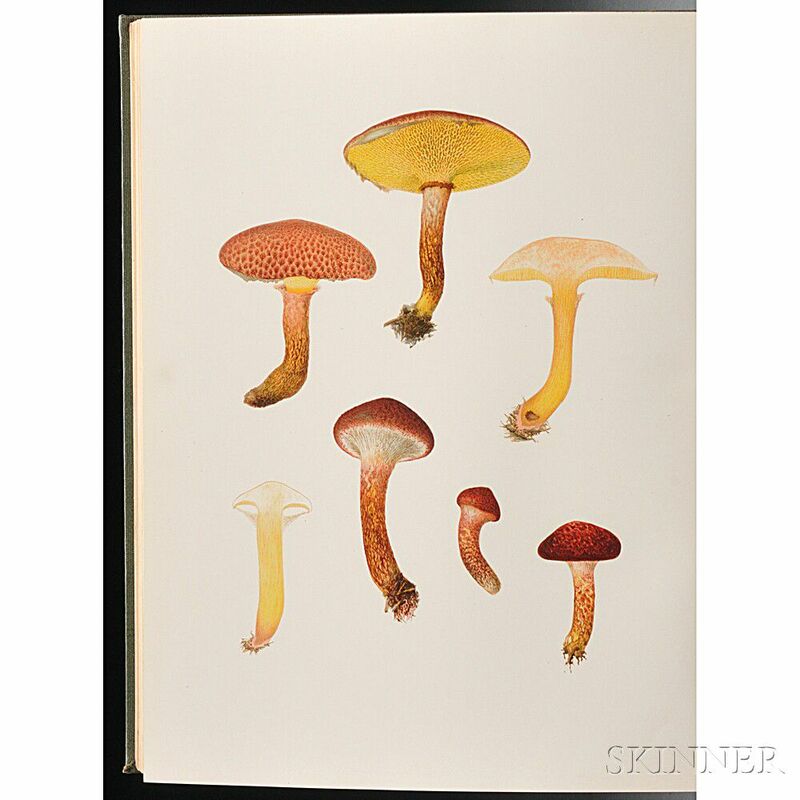 First and only edition, folio, limited to 500 copies, with descriptive text by Edward Angus Burt, and illustrated with 103 colored plates of North American mushrooms printed by the Boston Heliotype Printing Company, Louis C.C. Krieger, illustrator, the printing by D.B. Updike, of the Merrymount Press in Boston, bound in the original full green publisher's cloth binding, gilt title on spine and front board, dusty, binding slightly faded, 14 x 10 3/4 in.